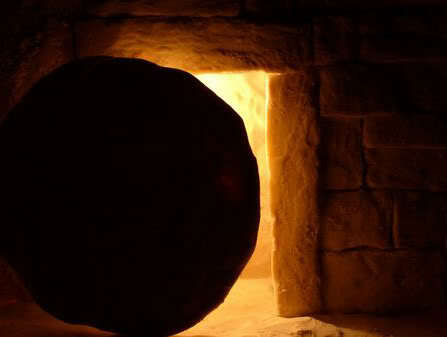 It's a day where we celebrate what happened 2000 years ago when Jesus had risen from the dead! He's now sitting at the right hand of the Father. It also gives us example that we will be resurrected like Him. What an awesome promise! 1Now, brothers, I want to remind you of the gospel I preached to you, which you received and on which you have taken your stand. 2By this gospel you are saved, if you hold firmly to the word I preached to you. Otherwise, you have believed in vain. 3For what I received I passed on to you as of first importance: that Christ died for our sins according to the Scriptures, 4that he was buried, that he was raised on the third day according to the Scriptures, 5and that he appeared to Peter, and then to the Twelve. 6After that, he appeared to more than five hundred of the brothers at the same time, most of whom are still living, though some have fallen asleep. 7Then he appeared to James, then to all the apostles, 8and last of all he appeared to me also, as to one abnormally born. 9For I am the least of the apostles and do not even deserve to be called an apostle, because I persecuted the church of God. 10But by the grace of God I am what I am, and his grace to me was not without effect. No, I worked harder than all of them—yet not I, but the grace of God that was with me. 11Whether, then, it was I or they, this is what we preach, and this is what you believed.